Distracted driving is defined as the act of driving while engaged in other activities. These ‘other activities’ can be anything from texting, talking (either on the phone or to a passenger), adjusting your music, rubbernecking, eating, reading, shaving, and more. Basically, anything that takes the driver’s attention away from the road is considered distracted driving. The United States Department of Transportation claims that texting while driving escalates the risk of a crash by 23 times, compared with non-distracted driving. It is estimated that between 20% and 25% of car crashes can be directly attributed to cell phone use while driving. There are three different categories of distracted driving; visual distraction, manual distraction, and cognitive distraction. Text messaging while driving affects all three of these categories. Visual distraction involves a driver taking their eyes off the road, and is the single most significant factor contributing to automobile crashes or near crashes. Manual distraction involves a driver taking their hands off the wheel. Cognitive distraction is when a driver’s focus is not directly on the act of driving; the driver is thinking about something other than driving or their mind is wandering. Simply engaging in conversation with a passenger can be dangerous and is considered distracted driving. It does not matter how good and experienced of a driver you are; when you are distracted from the act of driving, you are putting yourself and others at risk for an automobile accident. 1. Turn off your cell phone(s) or place them out of reach. 2. Preset your favorite radio stations or preload your CDs or iPod playlist. 3. Adjust your side mirrors, rear view mirrors, seat, and AC/heat before driving. 4. Plan your route in advance so that you are not distracted by a map or by written directions. 5. Avoid hot or messy foods that could result in you taking your eyes off the road. 6. If you are driving with children, emphasize to them how important it is that they behave while in the vehicle. 7. Have your makeup, hairstyling, and shaving completed before driving anywhere. Talking on a cellular phone while driving falls under “distracted driving,” which is driving while performing any activity that could potentially distract a driver from the primary task of operating a motor vehicle. The laws surrounding using a cell phone while driving vary from state to state, and each state law has its own unique features such as age limitations and hands-free device limitations. However, talking on a hands-free cell phone device still requires your brain to multitask and thus is a dangerous distraction while driving. Texting while driving also falls under “distracted driving,” which is driving while performing any activity that could distract a driver from their primary task of operating a motor vehicle. Currently, 44 states have laws against texting while driving. Of the 6 states without an all-driver texting ban, 4 prohibit text messaging by novice drivers and 3 prohibit school bus drivers from texting while driving. Penalties for the violation of texting while driving vary state to state and usually result in fines (ranging from $20 to $10,000), points added to your driver’s license, and/or incarceration. For these reasons and more, it is advisable to obtain legal advice if you have received a citation for texting while driving. 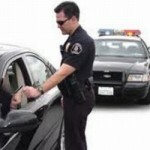 Contact LegalHelpLawyers.com today to get in touch with an experienced traffic lawyer for your distracted driving case!